A long time ago I heard about the legend of The Stinging-less Netlle, a fabled plant with all of the nitrogen-rich, low-maintenance and nutritional benefits of the stinging nettle without any of the stinging. The stinging nettle Urtica dioica is an excellent forest garden plant. Before it flowers*, it makes a fantastic soup, an excellent if strong-tasting spinach replacement, it makes a nice beer, it contains buckets of iron, oodles of nitrogen, it can be used as a nutritious chop ‘n’ drop mulching material or made into a fertiliser tea, it’s the main food for many butterflies and a host of other wildlife, it’s easy to grow. Oh. The sting. I always sting myself when collecting stinging nettles, no matter how long my gloves. If it weren’t for the sting, we’d all be growing it [intentionally] in our gardens. I had heard of a stinging-less sub-species, and thanks to the workings of the wonderful web, Wicken Fen National Trust Reserve confirmed its very real existence in a tweet @WickenFenNT. 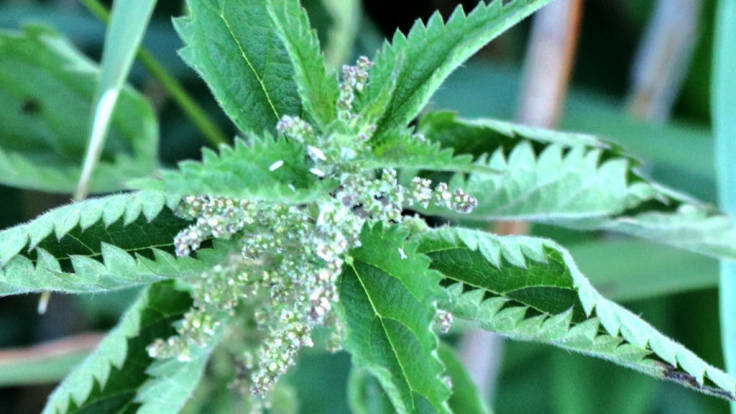 It’s scientific name is Urtica dioica subsp. galeopsifolia and a common name is Fen Nettle, and I also found it on the iSpot nature website. Also, perennial vegetable suppliers Backyard Larder said that they’re planning a trip to Wicken Fen and will ask about seed. I am very excited about the prospect of a stinging-less nettle bed, effortless spring soups and nutritious summer mulching and I’m sure you should be able to treat as a cut-again crop. *After it has flowered, apparently there is a build up in gritty particles called cysoliths, which can damage the kidneys if ingested.